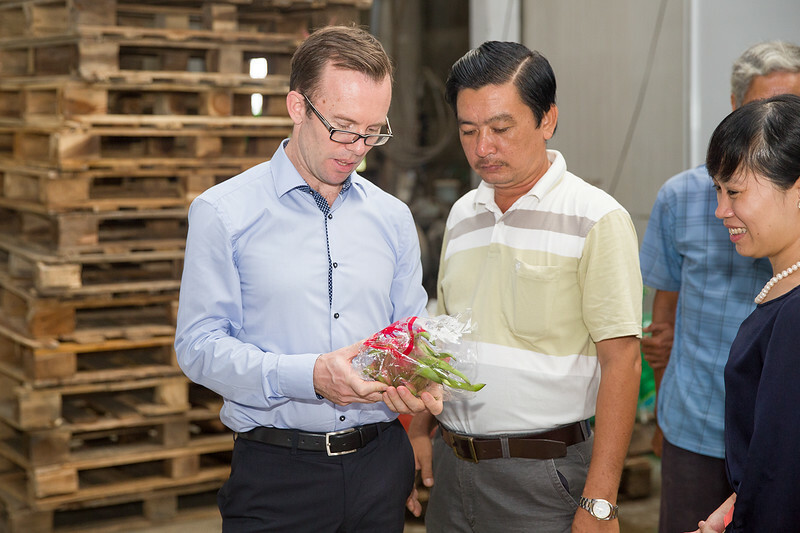 New Zealand Ambassador to Vietnam, HE Haike Manning visited Ben Tre, Tien Giang, and Can Tho from 30 September to 3 October, to observe positive impacts of New Zealand’s development assistance in the region, and to promote trade and education linkages. During the visit Ambassador Manning met with provincial leaders and visit communities that have directly benefitted from NZ Aid Programme funded projects focused on agriculture and climate change adaptation to experience the positive impact these projects are having on people’s lives. “The Mekong Delta is a vibrant, important agricultural region, but one which is facing increasing natural disasters with impacts on agricultural production. New Zealand is a country characterised by an innovative and successful agriculture sector and we are pleased to be able to support the projects that is delivering sustainable climate smart solutions for communities,” said H.E Haike Manning. Ambassador Manning also met with businesses and local authorities to discuss business, trade and education linkages, and highlight activities and events planned to mark the 40th anniversary of diplomatic relations between Vietnam and New Zealand in 2015.